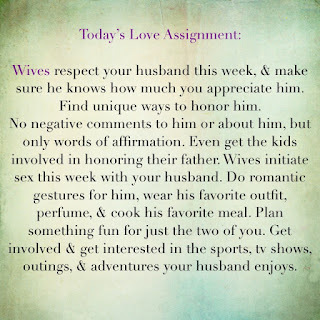 All month long we will be sharing some great tips & advice on love, relationships, dating, marriage, intimacy, & so much more! 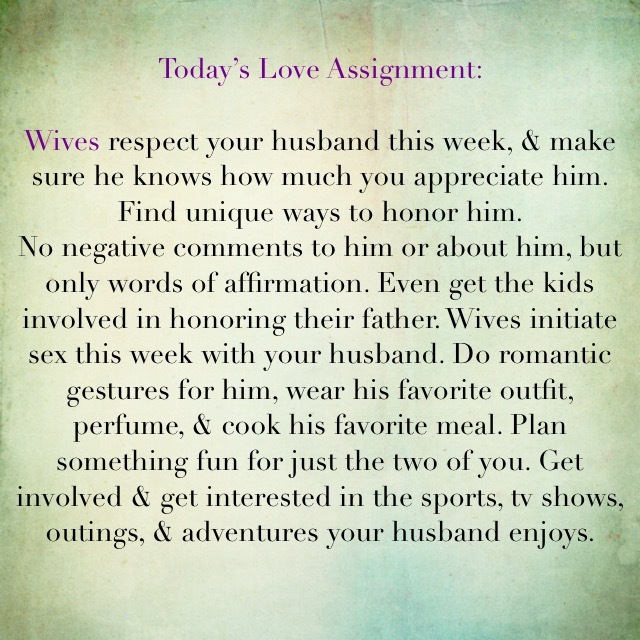 Today’s Love Assignments for Husbands & Wives!!! !